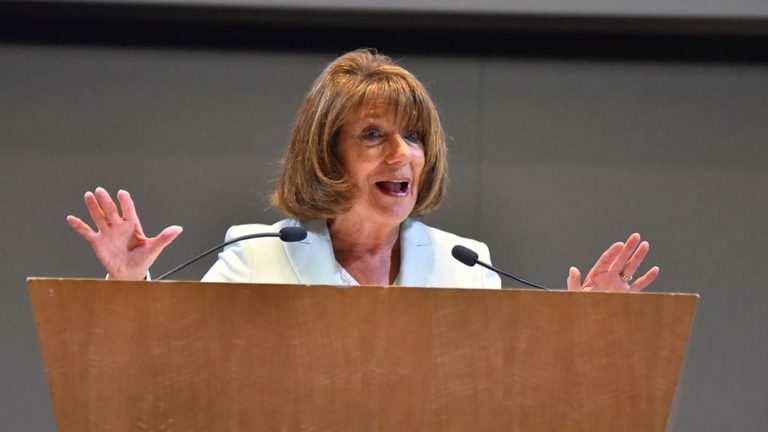 Inspired by San Diego poll results regarding North Korean relations, Rep. Susan Davis will host a public panel discussion about negotiations and a possible meeting between President Donald Trump and North Korean leader Kim Jong Un. Ninety-three percent of Davis’ constituents expressed concern about North Korea, while 61 percent said they were “very concerned,” according to a survey conducted by the San Diego Democrat’s office. Check in for “Understanding the North Korean Crisis: A Panel Discussion” begins 8:45 a.m. at San Diego State University‘s Art and Letters Building, 5500 Campanile Drive. The panel begins at 9:30 a.m. Discussion topics include the upcoming proposed summit between Trump and Kim, recent diplomatic developments, North Korea’s nuclear capabilities, prospects for denuclearization and North Korea’s relationship with China. The panel will be moderated by former Ambassador Karl Eikenberry, who served as U.S. ambassador to Afghanistan from 2009 to 2011. Panelists include Siegfried Hecker, senior fellow emeritus at Stanford University’s Freeman Spogli Institute of International Studies; Lei Guang, SDSU professor and director of University of California, San Diego’s 21st Century China Center; Allen Greb, professor for SDSU’s International Security and Conflict Resolution Department and Tai Ming Cheung, professor and director of UCSD’s Institute of Global Conflict and Cooperation.